BRISBANE Water Police are searching Moreton Bay after a canoe stocked with fishing rods and bait was found adrift. Police were notified at 6.30am Monday that a canoe had been found drifting near South West Rocks on Peel Island. 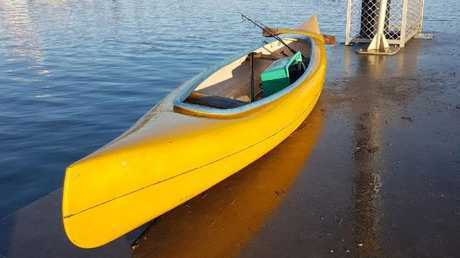 The canoe is about 240cm long, yellow in colour with a blue band. There are two fishing rods in the canoe and fresh bait. This canoe has been found drifting near Peel Island. It is unknown if anyone has fallen out of the canoe or if it has drifted away from a camp site. Three water police vessels and two helicopters conducting a search of Moreton Bay in relation to the matter. Police are appealing for anyone who recognises the canoe or can supply further information to contact them.